If you are a friend of preserving history and historic buildings in Greenwich, Connecticut, your voice is needed. Now. I was informed this morning that a demolition permit has been filed to tear down one of Greenwich, Connecticut's most historic properties. Hobby Horse Farm is located at 56 Clapboard Ridge Road. 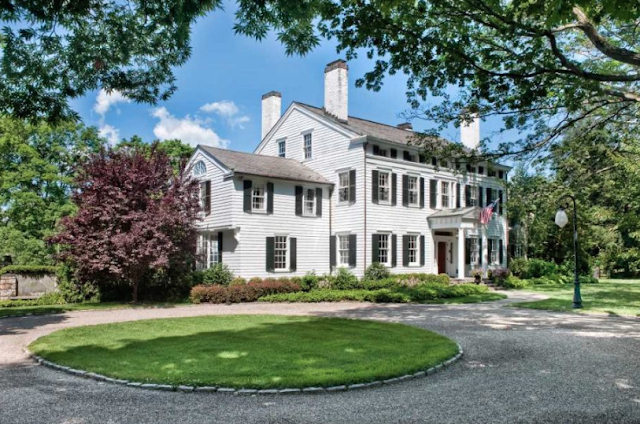 The property was recently sold to Meadowlark Manor LLC with its location on Greenwich Avenue. 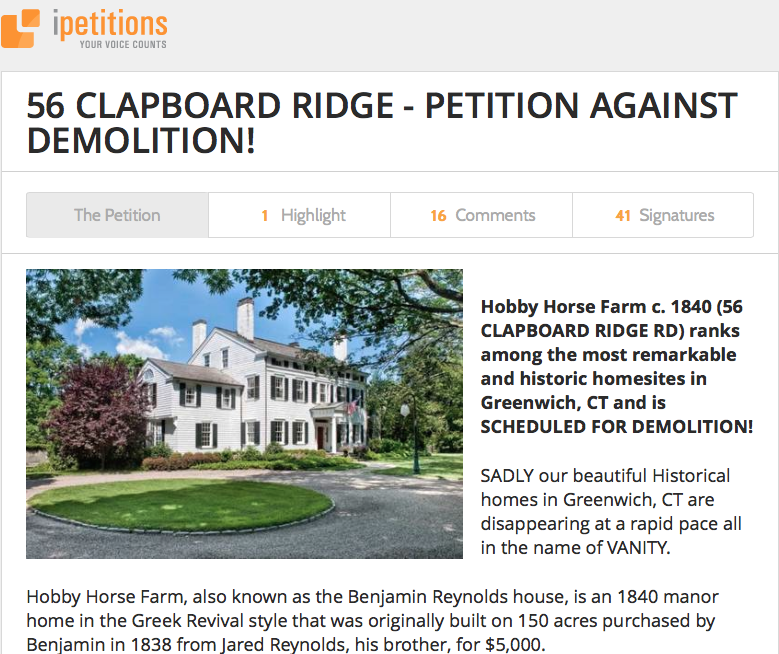 The Greenwich Historical Society received news of the demolition request last Wednesday -the day before Thanksgiving. A farmer, Benjamin was born in 1800, the fifth and youngest son of Ambrose and Mary (Knapp) Reynolds. He married Lucinda Mead in 1842 and lived until the advanced age of 99. Early settlers, the Mead, Knapp and Reynolds families were among the 27 proprietors of Greenwich in 1672. An online petition has been posted. Go to this link to sign the petition and offer comment. The Greenwich Preservation Network is meeting on December 8 to discuss this matter. Hester Bush Mead: An Uncommon Artist?